Phew, using toilets in Japan will become a whole lot simpler! 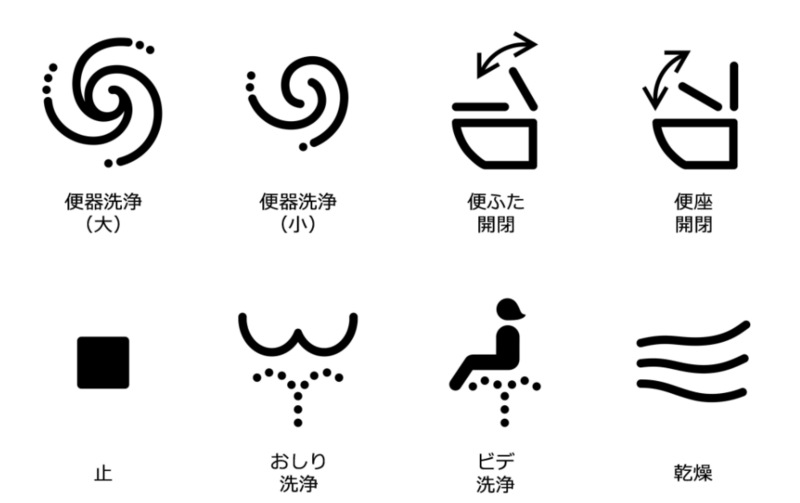 An association of toilet makers in Japan has decided that toilets manufactured this year onwards will all have the same symbols on the control panels. The pictograms on the toilet buttons tells a person what the toilet will do if the button is pressed. However, the various manufacturers had their own unique symbols. Now there is a standardized set of 8 pictograms. You can see them in the image. Clockwise from the top left side, their meaning is – big flush, small flush, lid raise, seat raise, fan, front spray, rear spray and stop.